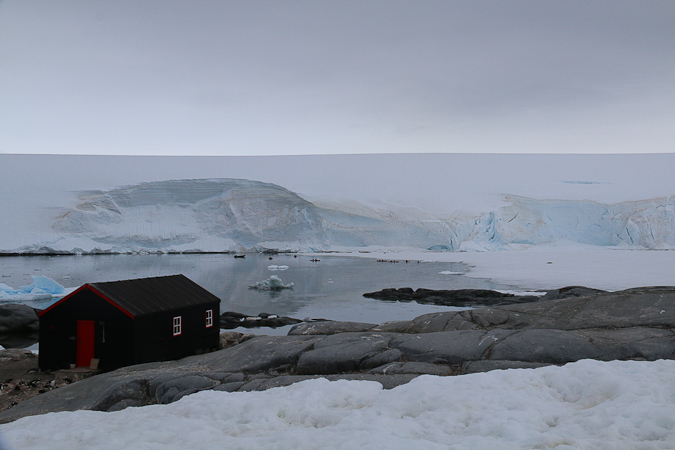 Goudier Island (S 64°49.5′ W 63°29.7′) is about the size of a hockey field, and sits in Port Lockroy which is part of Wiencke Island. 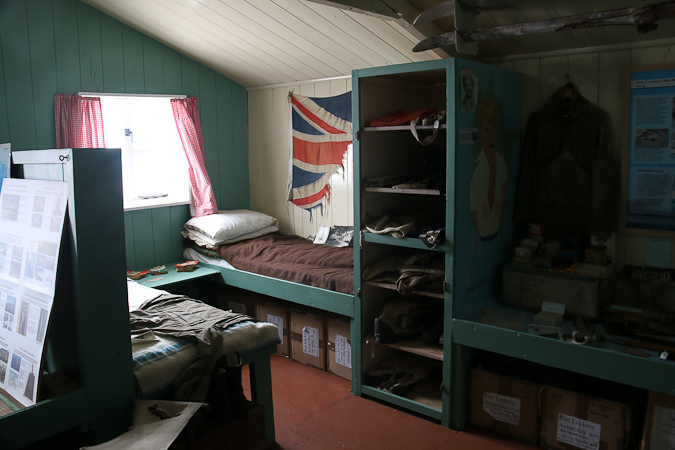 It is home to an old British base that dates back to the second world war, which is now a designated historic site. 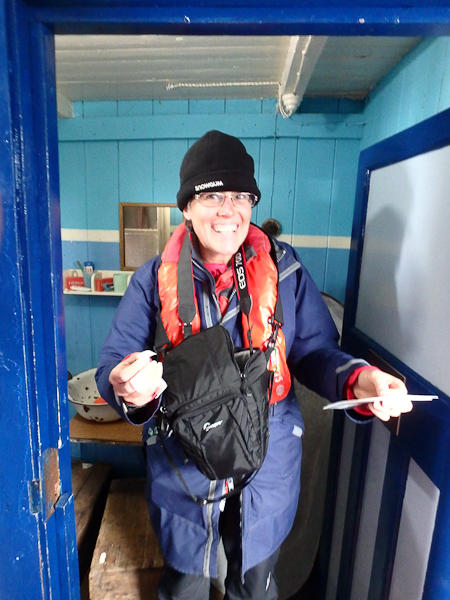 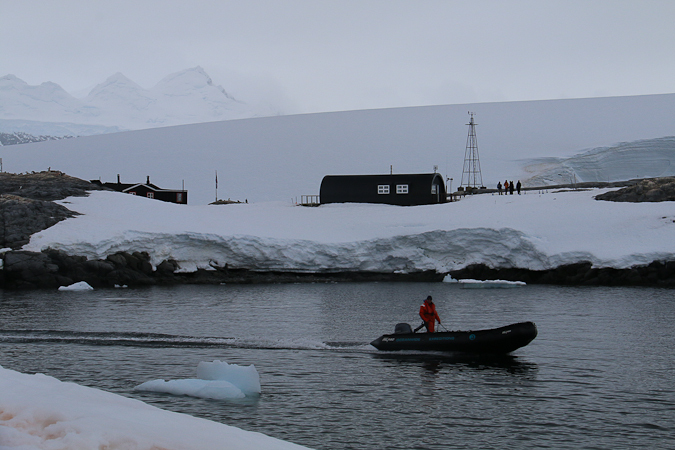 Volunteers from the UK’s Antarctic Heritage Trust work there over summer, and it is one of the most popular tourist attractions in Antarctica. 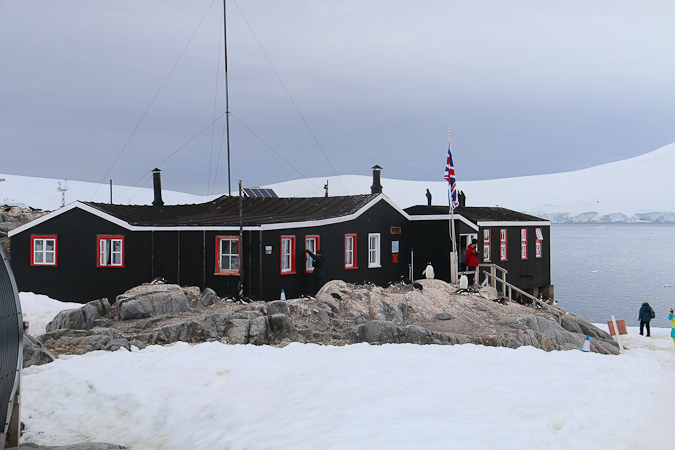 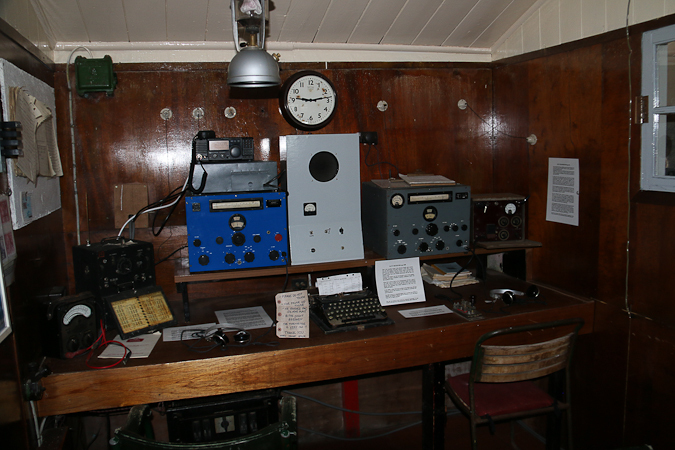 Most of the main building is a museum, showing how it was set up during its time as a military and scientific base, with a darkroom, radio room, and sleeping quarters. 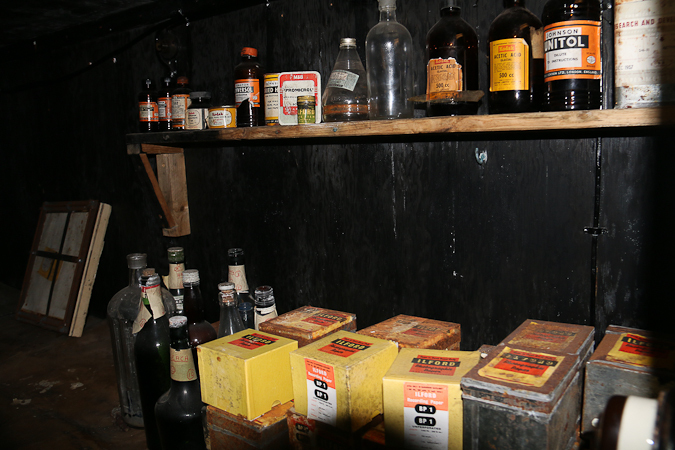 One section is given over to a souvenir shop and — would you believe — a post office. 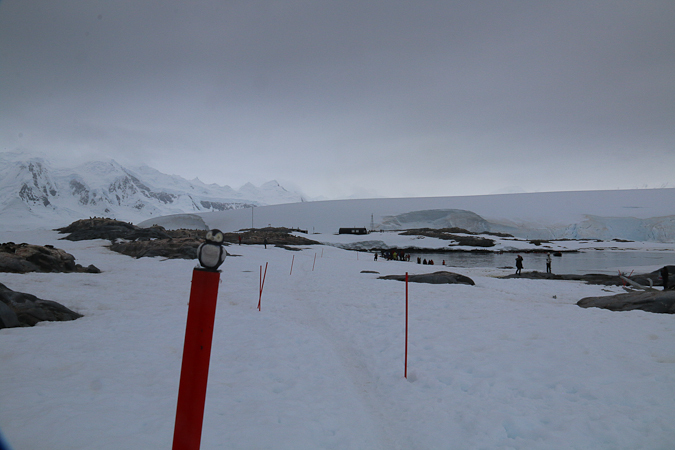 According to Wikipedia there are about 18000 visitors each summer (which makes me feel far less unique/special as an “Antarctic visitor”), who post some 70000 items (which is about 150 a day for each of the four volunteers to process), so the five postcards I sent is somewhere around the average! 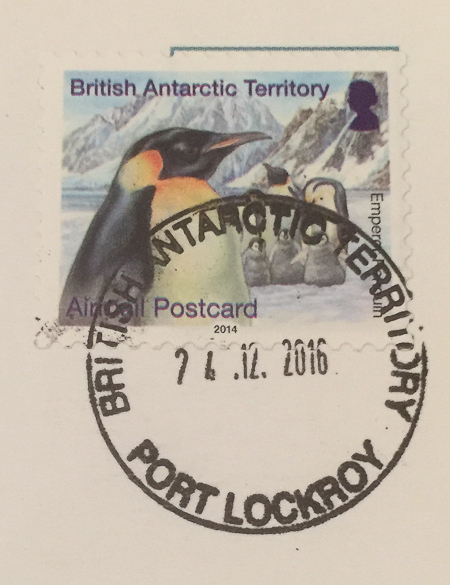 I’m not exactly sure which route the postcards take — I think they go by passing ship to the Falklands as the first leg of the journey — but mine arrived back in Tasmania on the 15 February, taking about 7 weeks for the trip (no, I did not write “Wish you were here” on it!). 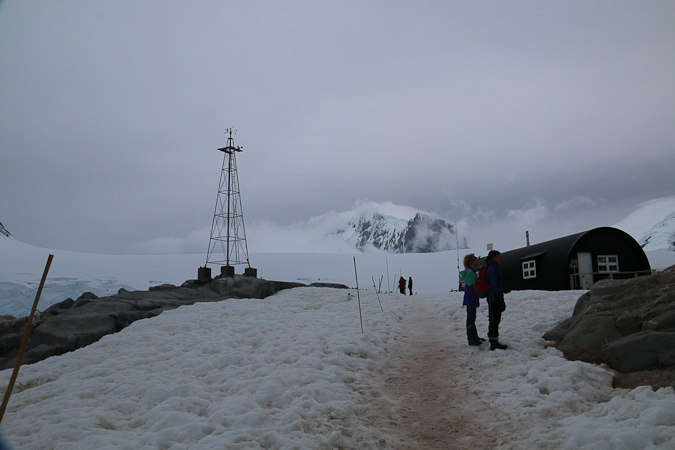 It was here, too, that I bought the Port Lockroy cloth patch which is now on my Chilean base beanie. 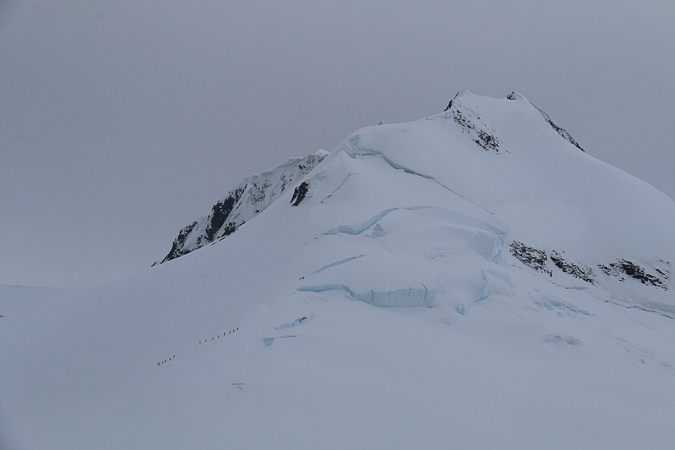 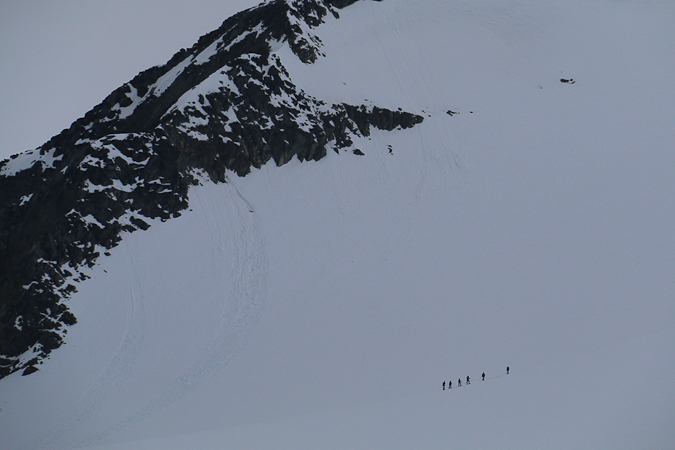 While we were being very touristy, the day’s group of mountaineers were having a fairly spectacular trip up one of the mountains opposite (in fact, they were on the southern side of the ridge whose northern side we had walked on yesterday). 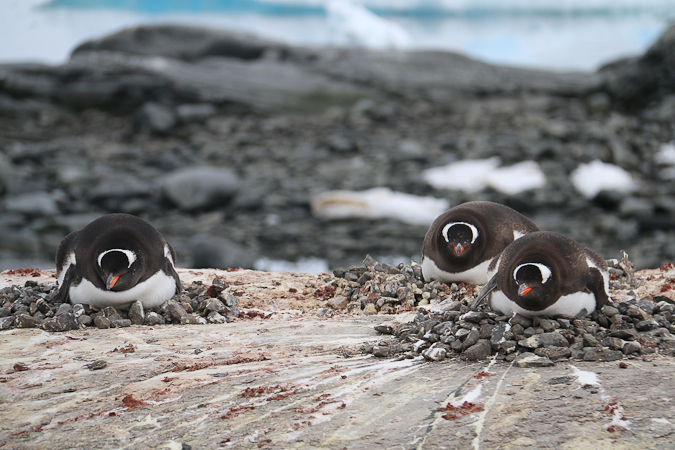 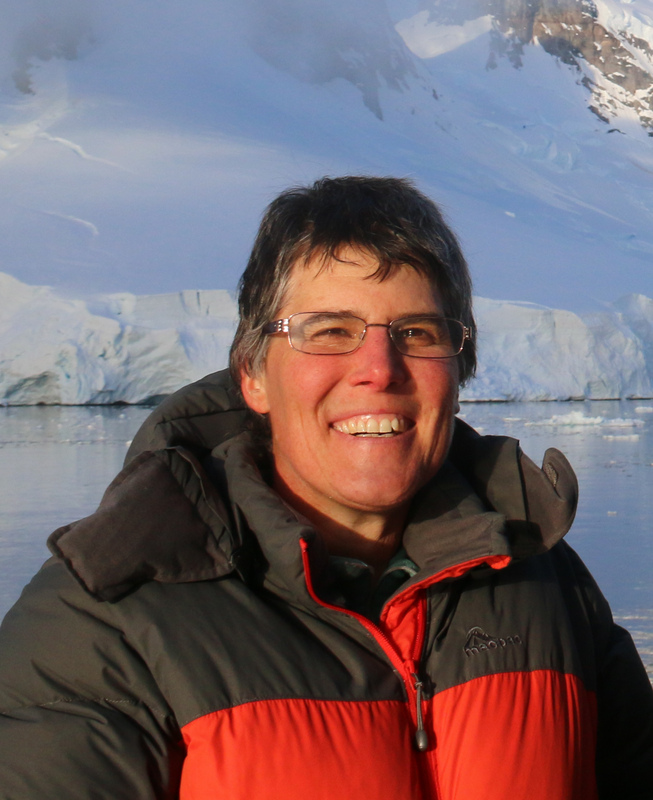 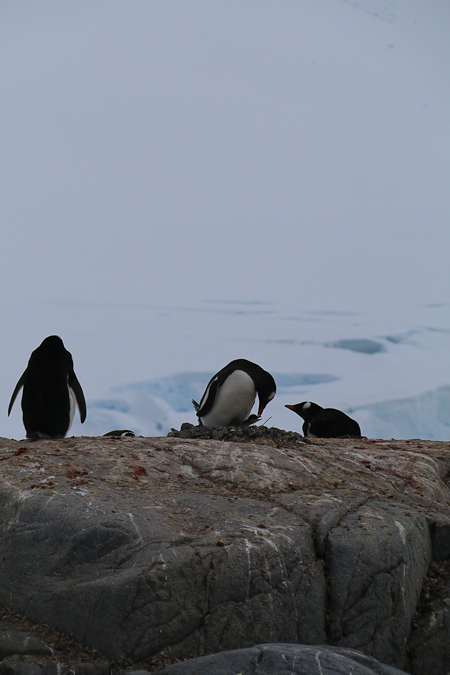 The tiny island that is home to the Port Lockroy base is also home to a colony of Gentoo penguins, and it was here that I spotted my first penguin chick. 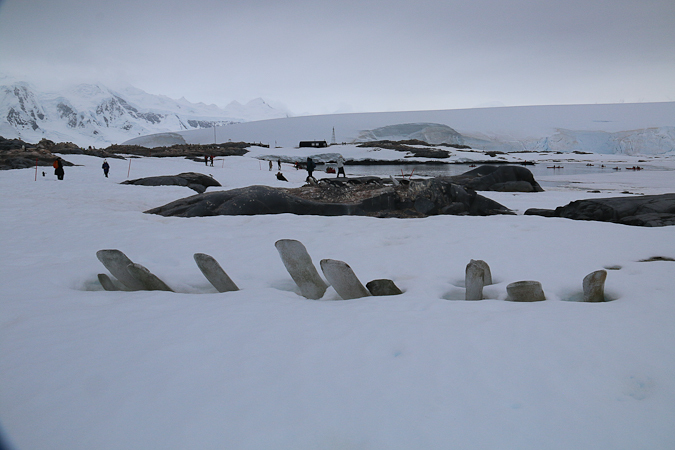 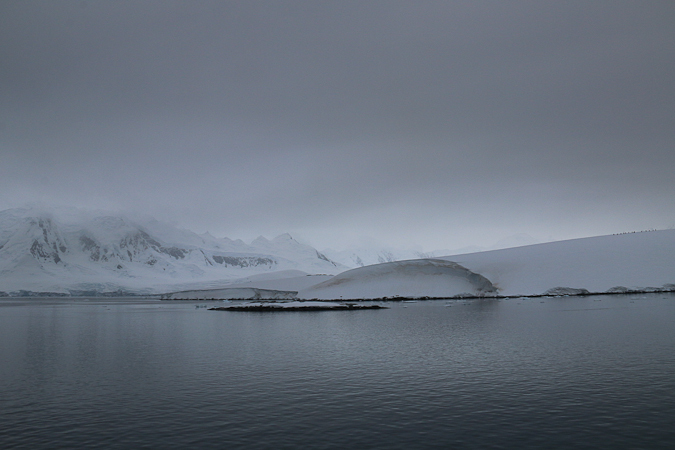 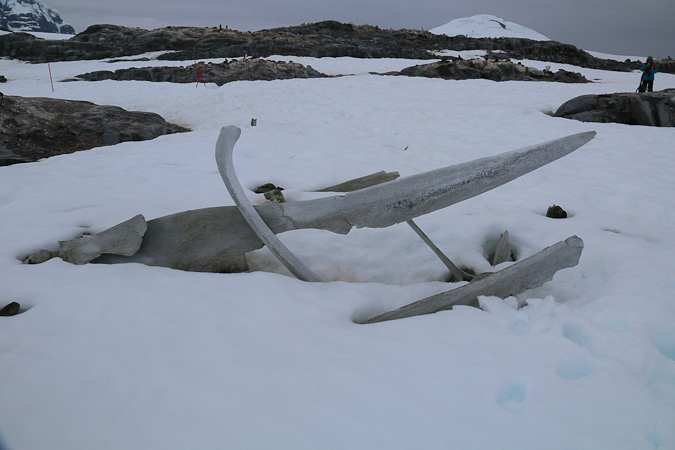 Because of space limitations on Goudier Island we visited the base in shifts, and so after our turn we were taken by Zodiac to nearby Jougla Point, where old whale bones made an interesting sight protruding through the ice (there was a whaling station nearby in the early 1900s). 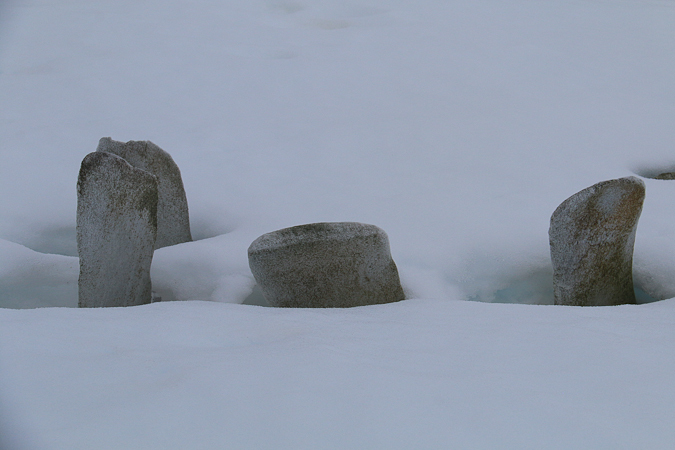 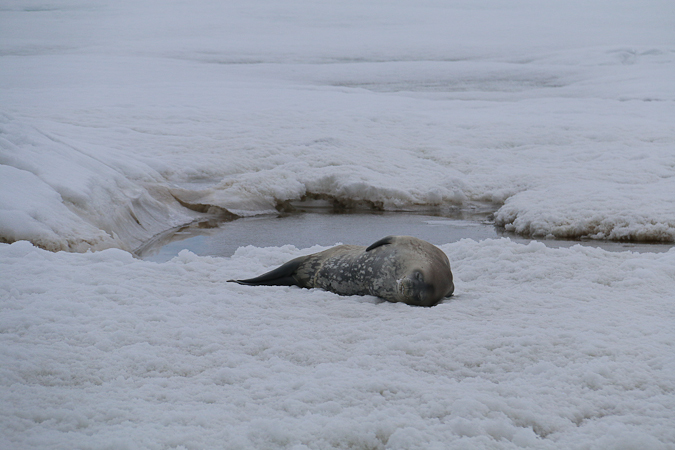 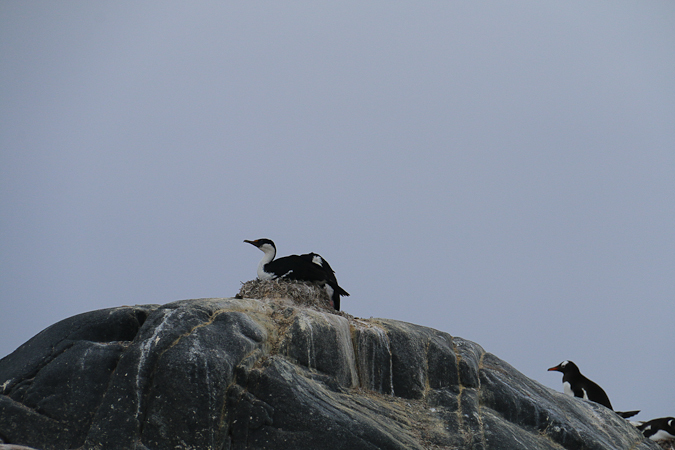 There were also some seals and some nesting cormorants. 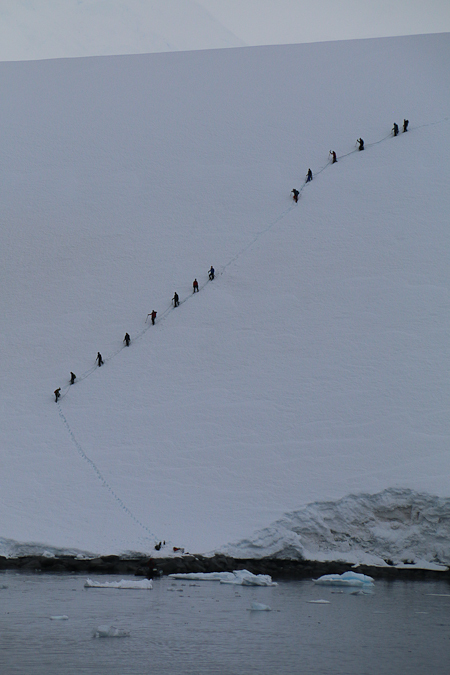 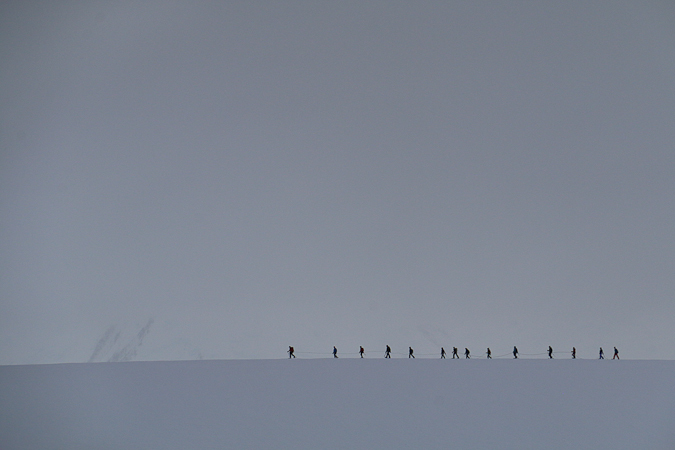 Meanwhile, the mountaineers were making their way back down, and I had rather too much fun photographing them. 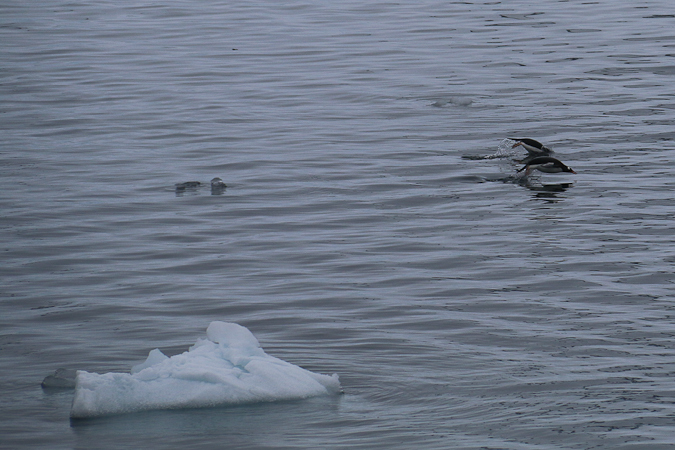 And I had another go at capturing flying penguins, slightly more successfully, but still not entirely satisfactorily.